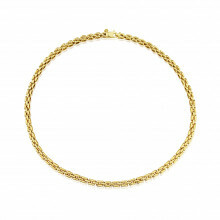 A Yellow Gold Necklace made with a ‘Panther’ link chain: rows of sideways links are joined together in an 'off-set' formation. 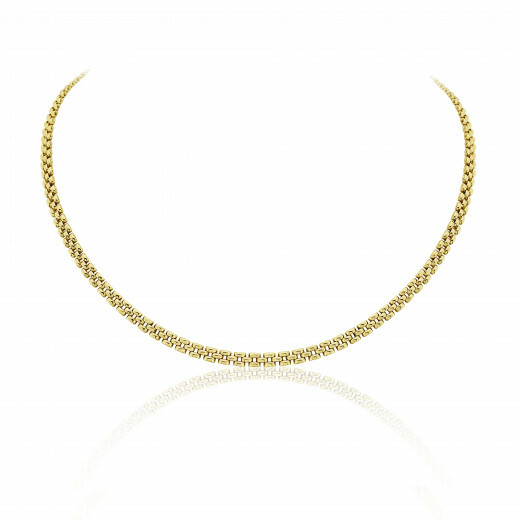 The links in this style resemble brickwork due to its alternating layout making this a more fixed piece of jewellery that sits firmly and closely to the neck. 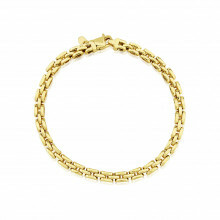 A popular accessory for those who like to wear substantial, statement accessories.